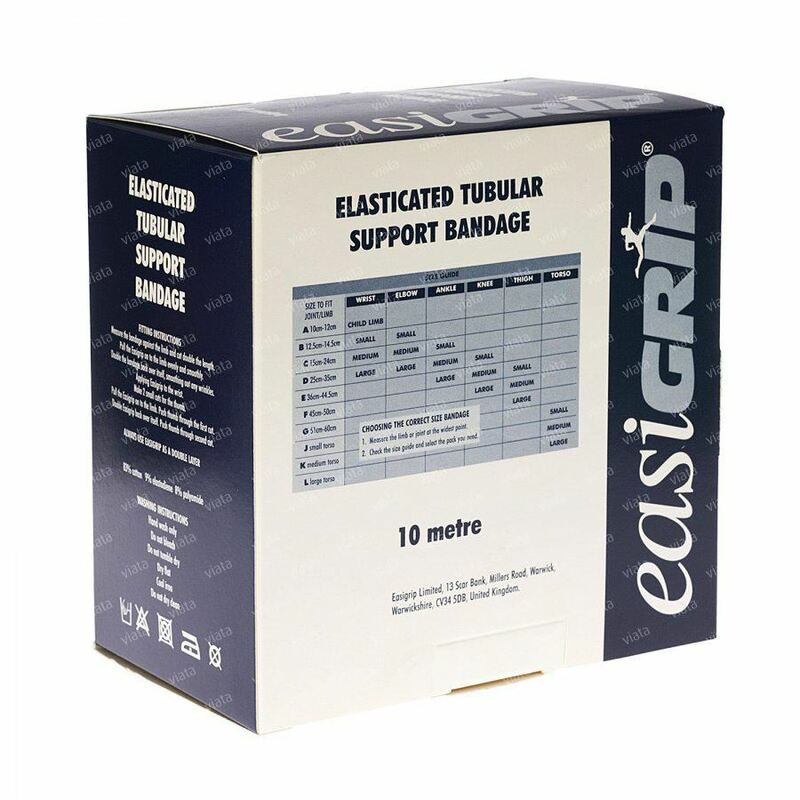 EASIGRIP Elasticated Tubular Bandage is ideal for sprains, sTrains and support. It can also be used for sport supports. The versatile bandage can also be used for dressing retention. Easigrip elasticated tubular bandage is ideal for adding extra support while you are playing your favourite sport. 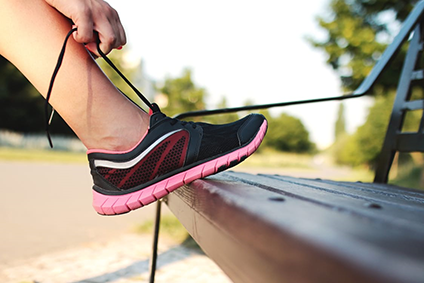 The bandage is ideal for supporting weak limbs, or if you have recently recovered from a sporting injury it provides that extra reassurance for getting you back in the game. It is available in a range of sizes and has been used by many sportsmen and women who have found the product comfortable to wear and easy to put on. For many years the manufacturers of Easigrip has supplied football league clubs, including Crewe Alexandra, with the bandage which is also suitable for dressing retention. Easigrip is ideal for people who play sport regularly as it is washable which means it can be used again and again without losing its quality. Measure the bandage against the limb and cut double the length. Pull the Easigrip on to the limb evenly and smoothly. Double the bandage back over itself, smoothing out any wrinkles. Applying Easigrip to the wrist. Make 2 small cuts for the thumb. Pull the Easigrip on to the limb. Push thumb through the first cut. Double Easigrip back over itself. Push thumb through second cut. Always use Easigrip as a double layer. If symptoms persist please seek medical advice. To choose the correct size product measure the limb or join at the widest point then check the size guide and select the pack you need. Hand wash only, Do not bleach, Do not tumble dry, Dry flat, Cool Iron, Do not Dry Clean.